Every single one of Chelsea Miller’s knives is made entirely by hand. 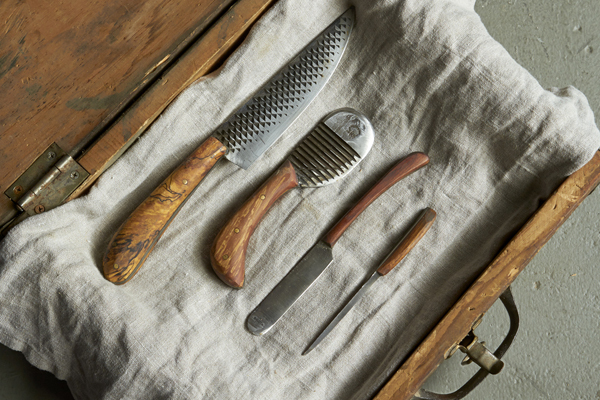 Raised in Vermont, daughter of a blacksmith and carpenter, Miller makes her knives out of recycled material, such as used ferrier rasps, and wood she collects in the countryside. From her shop in New York City, she sells her pieces – priced between $250 to $400 – to collectors, restaurant owners, and anyone who appreciates an object that tells a story.